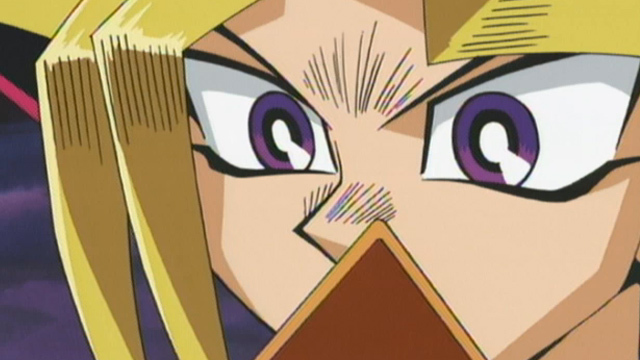 From Duel Monsters to Pocket Monsters. Hello SixPrizes readers! My name is Russell LaParre and this is my first article for SixPrizes Underground. I’ve been playing competitive Pokémon TCG for almost three years now. In this time I’ve won numerous City Championships, Top 8’d four State Championships with one win, Day 2’d numerous Regional Championships with one Top 8, and Top 16’d at US Nationals. Before my competitive Pokémon career I played VS System as well as Yu-Gi-Oh! and had many accomplishments in both. Throughout my Pokémon career I’ve favored playing off-meta or “rogue” decks that can keep up with the strength of the format’s top tier variants. Today I want to discuss how the top decks from Fall Regionals have evolved through the release of BREAKthrough and what influence they should have on the first two weeks of Winter Regionals. So … what’s changed since October? To put it frankly, not much is different. Some decks have fallen out of favor due to the release of Jirachi XY67, Gallade BKT, and Assault Vest but a majority of the lists that performed well at Fall Regionals will do the same during Winter Regionals. Seismitoad-EX’s Quaking Punch is a devastating attack that punishes poor draws and deck building in a way that no other Pokémon can match. Combined with the supplementary damage from Crobat PHF/Golbat PHF, Hypnotoxic Laser, and Rock Guard this deck is capable of controlling and adapting to every opponent you’ll be pitted against. Two cards have been released since Fall Regionals that could pose problems for this deck; they are Assault Vest and Gallade BKT. An opponent attaching 1 or 2 Assault Vests during their opening turn provides a significant hurdle for this deck to overcome. Hitting an early Hypnotoxic Laser and Virbank City Gym combo helps but ultimately Quaking Punching for 10 (if you have a Muscle Band attached) or 0 damage sets this deck back quite a bit. The second card I mentioned — Gallade BKT — does not directly affect this deck but I believe its release has solidified the decision for Yveltal/Darkrai players to run the Maxie’s Hidden Ball Trick combo with Archeops NVI which players were torn between playing during Fall Regionals. Ancient Power stalls this deck’s damage output and when paired with Keldeo-EX + Float Stone or Dark Cloak this deck has a hard time keeping up the pace that Yveltal/Darkrai will set. Jirachi XY67 has little to no effect on Seismitoad/Crobat as the secondary damage output this deck possesses is too strong for Jirachi’s Stardust protection. Seismitoad/Crobat will still be extremely powerful in Winter Regionals. With the addition of Gallade BKT, I believe the Maxie’s combo is now too powerful to ignore and has earned its spot in every Yveltal-EX deck as Gallade BKT not only dominates the Mega Manectric matchup but it also provides pressure in the Yveltal/Darkrai mirror match as a Benched Gallade threatens a 1-Energy card knockout on an opponent’s Benched Darkrai-EX. While it may seem easy to play around a Benched Gallade, losing Darkrai-EX’s Dark Cloak Ability is incredibly frustrating when you’re not drawing into your Keldeo-EX/Float Stone combination. I believe Yveltal/Darkrai will be the most played deck during the first two weeks of Regionals. Vespiquen/Flareon performed extremely well during Fall Regionals due to its speed, consistency, and ability to force an opponent to take knockouts against hard-hitting single-Prize attackers. Four cards have been released since Fall Regionals that hinder Vespiquen/Flareon but they in no way pressure this deck out of top contention. The first two are Assault Vest and Parallel City which are used as damage nullifiers in an attempt to remove the 1HKO/2HKO potential that this deck reaches near the mid to late game. Assault Vest can be easily countered by adding a single copy of Startling Megaphone or Xerosic but most successful builds and pilots can play around it using Blacksmith and manually attaching Fire Energy to Benched attackers. Parallel City presents another issue through its ability to limit the Bench size for either player. If played during the opening turns against Vespiquen/Flareon it limits their ability to set up as efficiently as they’d like, forcing them to decide between benching Shaymin-EXs to progress their turn or benching Combee and Eevee in an attempt to get their attackers online. Be aware: Archeops is making a resurgence! As I mentioned previously with Seismitoad/Crobat, Gallade BKT has pushed a majority of Yveltal/Darkrai and Night March decks to play Maxie’s Hidden Ball Trick with Archeops NVI causing similar evolution issues for Vespiquen/Flareon. Each build should be playing a Hex Maniac and Wobbuffet to shut off Ancient Power as this deck will be flocked to by many players. The final card I wanted to discuss is Jirachi XY67, which is the biggest problem of the four for this deck. It creates openings for an opponent to punish Double Colorless attachments to Benched Pokémon when it would normally not be in any danger of being knocked out. When combined with N or Ghetsis, Jirachi’s Stardust can singlehandedly dictate the pace of the game for Vespiquen/Flareon players as its protection effect limits the speed and pressure this deck usually applies on Pokémon-EX decks. When playing against Jirachi I tend to be extremely conservative with Double Colorless Energy, only attaching it for OHKOs against Pokémon-EX or problematic attackers. I also look to attack with Flareon first as Blacksmith is a strong way to mitigate Jirachi’s strength during the early to mid stages of the game allowing me take three to four Prizes then using a combination of Double Colorless Energy and Lysandre to take the final two. One of my personal favorites from Fall Regionals, Tyrantrum/Giratina has been severely hindered by the release of BREAKthrough. The deck’s initial method of handling speed decks — such as Night March and Vespiquen/Flareon — through Giratina’s Chaos Wheel is now obsolete due to the strength of Jirachi XY67. While I don’t believe many Vespiquen/Flareon decks will play Jirachi, this match was already close to 50/50 due to the utility of Blacksmith, and if they do opt to play Jirachi, the matchup would swing significantly into their favor. 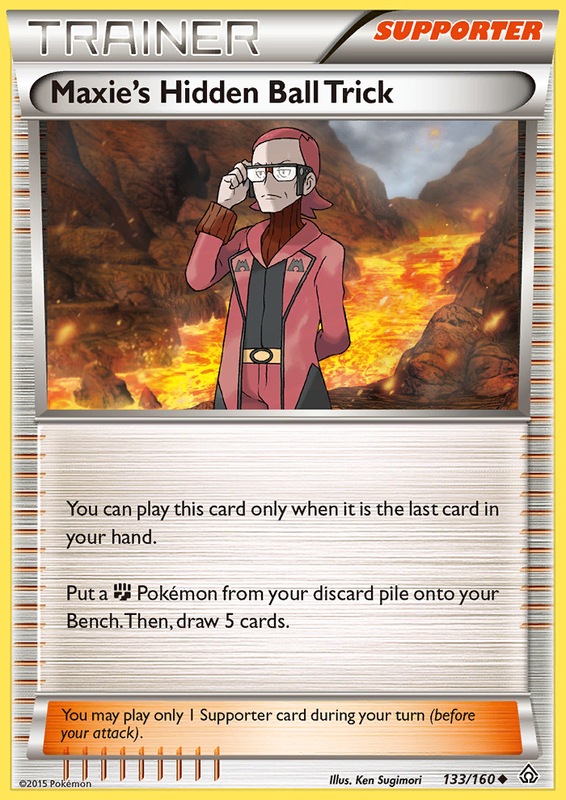 Just like every Evolution deck in the format, Bronzong is also hindered by the surge in Maxie’s Hidden Ball Trick/Archeops combo that will flood Winter Regionals. But the hardest single-card hurdle this deck will run into is Parallel City as it forces the deck to decide between keeping Bronzong, Dragon attackers, or Keldeo-EX on the Bench and losing valuable resources in the process. A single copy of this card can be devastating during the mid to late stages of the game to a point where you’ll need Super Rod to recover any valuable Pokémon lost. I expect Tyrantrum to fall out of the meta and if played it probably won’t perform to the same caliber it did during Fall Regionals. Since the deck’s strong showing in Fall Regionals, I’ve noticed a divide amongst top players opinions on how competitive this can be after the release of Jirachi XY67. Some players believe that Rock Guard, Escape Rope combined with Lysandre, and Hypnotoxic Laser with Virbank City Gym are enough to keep Jirachi at bay since most decks tend to run only a single copy. I side with the players that believe the deck is not as powerful as it once was. Jirachi’s Stardust when combined with Keldeo-EX/Float Stone or another Special Energy removal card such as Xerosic or Enhanced Hammer has proven to be far too problematic in my testing. These cards force Seismitoad/Giratina players to consistently stream Energy using draw Supporters instead of maintaining control through Xerosic, Lysandre, or Team Flare Grunt — potentially losing their grip on the game state. Early attachments of Assault Vest could also obstruct this deck’s damage output by removing significant 2HKOs and 3HKOs on problematic attackers when Crushing Hammer and Hypnotoxic Laser flips do not go its way. Seismitoad/Giratina still has powerful control but I believe Seismitoad/Crobat and Sableye/Garbodor offer more to counter the meta and are overall better deck choices. I expect to see less Giratina-EX variants in the upcoming Regionals. I believe Vespiquen/Flareon is the absolute best play for Week 1 of the Winter Regionals, however it is only the best play in the hands of an experienced pilot of the deck. 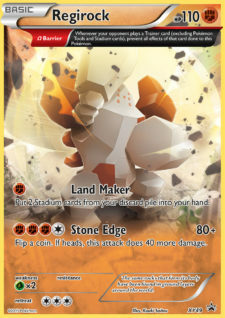 When this deck gets off to a rocky start it presents challenging situations where an inexperienced player could make game-breaking mistakes such as mismanaging Energy, promoting the incorrect Pokémon after a knockout, or discarding the improper Pokémon during the early to mid stages of the game. I anticipate a high number of Yveltal/Darkrai/Maxie’s decks to played Weeks 1 and 2 of Regionals thus making the Jirachi-EX/Hex Maniac combo a consistent counter to Archeops NVI. Mr. 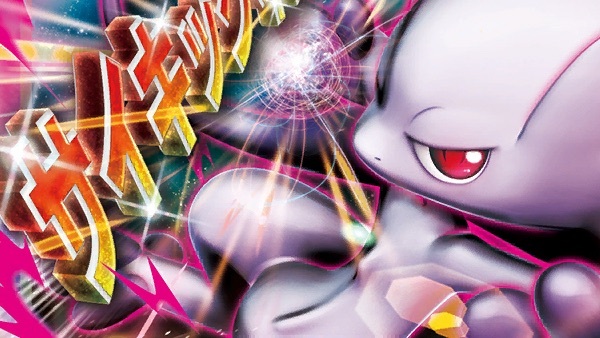 Mime is included in this list as a soft counter to Darkrai-EX players who are looking to use a combination of Hypnotoxic Laser and Quaking Punch damage early to set up a Night Spear attack for a double-Prize turn. I recommend watching the Round 14 match between Dylan Brylan piloting Vespiquen/Flareon and Frank Diaz piloting Yveltal/Darkrai to get a good grasp of how each player should approach this matchup. On the off-chance that you run into an Archie’s Blastoise deck using Kyogre-EX DEX or Landorus/Crobat, this card can swing the early game of these matchups significantly in your favor. Life Dew is the ideal ACE SPEC choice for this deck as you are usually forcing an opponent to take 1 Prize at a time by applying pressure with Flareon and Vespiquen. I’ve found this deck has a ton of consistency through Shaymin-EX, Jirachi-EX, Battle Compressor, and VS Seeker, which makes Computer Search feel unnecessary. The only card added to the deck from BREAKthrough is a single copy of Parallel City. You’ll mainly be using this card to limit your own Bench size and discard your Shaymin-EX and Jirachi-EX in the process. I’ve found this play to be a game-sealer when you’ve had an amazing start and take a big lead on your opponent. If you expect to play against a heavy amount of Vespiquen/Flareon or Seismitoad/Giratina I’d recommend playing Jirachi in place of Mr. Mime. 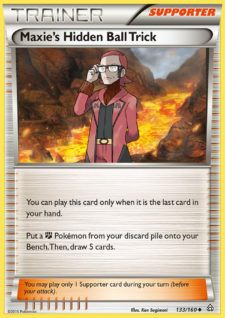 If you find yourself in situations where you’re able to attach a Fire Energy to Jirachi and remove an opponent’s Double Colorless Energy, you can swing the match into your favor if you opponent makes the mistake of attaching a Double Colorless Energy to a Benched Pokémon and you Lysandre it the following turn to neutralize the threat with Stardust or a Revenge attack. If the meta you’re expecting has a high number of Mega decks such as Mega Mewtwo, Mega Manectric, or Mega Rayquaza then playing a single copy of Silver Bangle would be worthy of a spot in your deck. During testing, this card has shown to help counteract the damage nullification that Assault Vest would pose when it prevented game-changing OHKOs from concurring. If you want a deck that has a strong chance to win against every top and high tier deck in the meta I would recommend Yveltal/Darkrai/Maxie’s. I based my list highly off of Brandon Cantu’s list in his article “All or Nothing” which has proven to be a wrecking force in my past weeks of testing. With two targets, it’s become way more useful. Before the addition of BREAKthrough, the Maxie’s/Archeops combo was not the best engine to run in Fall Regionals as it only affected your matchup against Vespiquen/Flareon. After the addition of Gallade BKT, I believe the Maxie’s combo provides enough utility to deem it as the best route to play any Yveltal-EX deck. The major factor here is using Gallade’s type advantage to dictate your opponent’s use of Darkrai-EX in the mirror match, forcing them into a confined use of retreating through Keldeo and Float Stone. 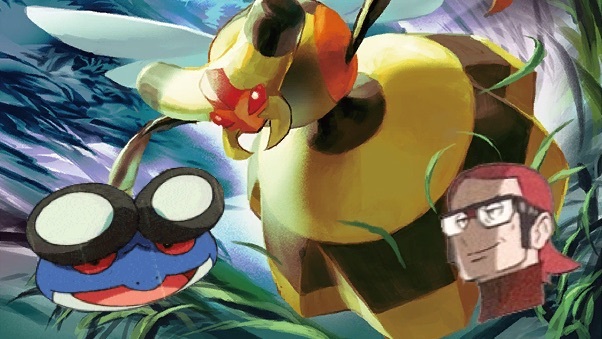 While this combo was commonly used in Fall Regionals to hinder Archie’s Blastoise and Mega Rayquaza decks, Ghetsis adds a new flavor of control during the early game against Seismitoad/Crobat and Sableye/Garbodor decks. The goal with this combo is to slow down your opponent’s setup and keep them on their heels by pushing yourself far ahead in card advantage. I’ve used this card multiple times in testing to toss back my opponent’s VS Seeker and Dark Patch when they were needed to close the game out. Heading into my first playtesting session I was skeptical about playing Dowsing Machine as I found Computer Search extremely useful for consistently hitting my turn 1 Maxie’s Hidden Ball trick and fishing for Double Colorless Energy or Hypnotoxic Laser in early stages of the game when I could take a significant lead on my opponent. After a few games testing the new list I’ve found Dowsing Machine to be significantly better during the mid to late stages of the game allowing me to reuse Dark Patch, Hypnotoxic Laser, and Lysandre in situations where I’ve prized my final counts or used all of them without finishing the game. I recommend you test a few games with Dowsing Machine and see how many situations you run into where you feel it should be a Computer Search instead. Computer Search is still a good decision for this deck but I feel like if I’m not drawing it early in the game it is not as a powerful as Dowsing Machine. I put Seismitoad/Crobat with or without Manectric-EX at the bottom of the top tier list due to its lack of extreme speed and power that Vespiquen/Flareon and Yveltal-EX have. This will be the second most played deck during Weeks 1 and 2 of Regionals as it is a lot easier to pilot through a tournament with many rounds, and the lock from Quaking Punch easily mitigates the skill gap between veteran and newer players. If the deck you are planning to bring to Regionals cannot compete with Seismitoad/Crobat I would not advise playing it. Due to the lack of Super Rod/Sacred Ash in this deck I opted to play a 4-3-3 Crobat line with 3 Juniper instead of 4 as discarding early-game Golbat or Crobat could pose problems for my damage output if I end up prizing 1 or 2 more pieces of the Evolution line. 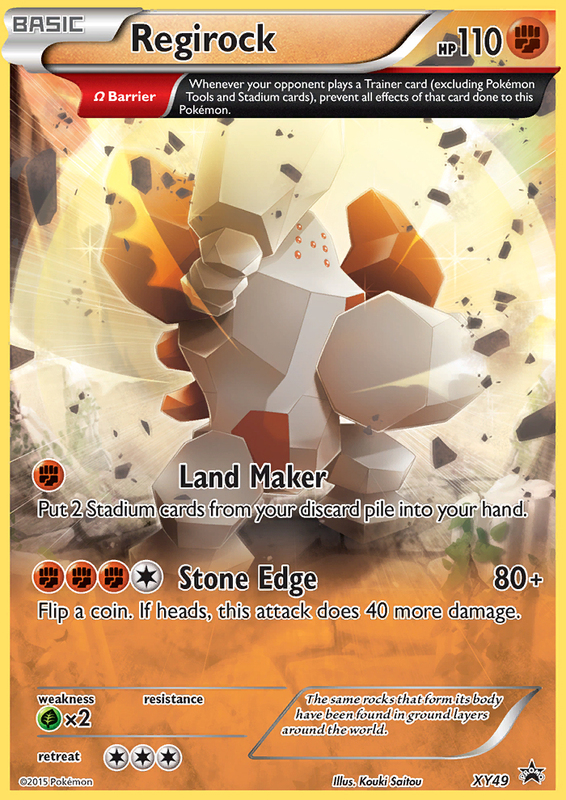 Rock Guard is my ACE SPEC of choice as it provides a significant advantage over the mirror match, Night March, and Mega Manectric if you’re able to attach Rock Guard during the early stages of the game. 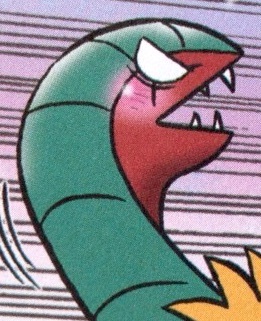 It creates amazing numbers for knockouts when paired with Hypnotoxic Laser, Overrun, Sneaky Bite, and Surprise Bite while providing the utility to be recycled through Super Scoop Up. Rock Guard also completely stalls an opponent’s Jirachi XY67 attack allowing you to take a knockout going into your turn, rendering Jirachi useless against you. If you find Xerosic to be not as well useful as you’d expect or if you anticipate playing against a wide variety of Float Stone-oriented decks I’d recommend playing a copy of Startling Megaphone to make game-ending locks or punish early attached Assaulted Vests and Muscle Bands. Playing top tier decks is not usually my cup of tea. As I mentioned before, I enjoy playing rogue decks that can compete with top tiers but these three have such a strong stranglehold on the format that no other deck can gain an advantage on two of these matchups without taking a bad matchup from the other — excluding Sableye/Garbodor. I did not include Sableye/Garbodor among the top tier decks as the deck is difficult to pilot when you have a slow start and I do not believe it would be a wise choice to play in a large tournament as time becomes a huge factor. You might be able to pilot the deck at a quickened pace but the speed of your opponent’s play also dictates if you’ll be able to end the game before time is called. Multiple factors such as a dead hand, your opponent playing at a slow but reasonable pace, multiple copies of N, and running extremely cold on Crushing Hammers could lead to ties against any deck and any player regardless of a potential skill gap you might have. I would not want to take this gamble running into a high-round event such as Winter Regionals. I was inspired to build this list after Grady Thomas won a City Championship tournament piloting a similar variant. Rainbow Road has an absurd single-Prize attacker in Xerneas BKT and with the utility of Prism Energy, this deck gains a toolbox of Pokémon-EX that can dictate matchups with a single copy on the Bench. I’ve tried a more popular Ho-Oh-EX DRX/Xerneas BKT build but ultimately I’ve found it a lot less consistent than a standard Fairy Box build with Exp. Share. Your stepping stone to victory against Sableye/Garbodor. Looking at this list you can see it has an extremely rough matchup with Sableye/Garbodor and Regirock can singlehandedly carry the game to sweep an opponent for 6 Prizes through its Omega Barrier Ancient Trait. As explained earlier, Assault Vest is an amazing tech in decks that have high-HP Pokémon hitters. This applies to Xerneas BKT as well when you have a Prism Energy attached paired with Virizion-EX on the Bench mitigating any potential Hypnotoxic Laser damage that a majority of the top tier decks need to take quick Prizes. This card is an amazing late-game win condition. I’ve run into many situations with this deck where I would use Lysandre 3 times on Shaymin-EX to claim 6 Prizes. I would usually set up this combo with Teammates after losing your tech attacker during the mid-point of the game. I wanted to highlight a deck that made a little splash in the Standard format and could possibly show up strong in the Expanded format, this being M Mewtwo Y using Mewtwo-EX as the attacker and Yveltal XY as a solid source of Energy attachments and a strong attacker against Night March. This deck is extremely quick and can sweep decks that have a slow start as M Mewtwo Y is a heavy hitter with a decent amount of HP. It has solid matchups against other decks that play a high number of Pokémon-EX attackers but falls short of taking 6 Prizes in time against Vespiquen/Flareon, Night March, and Donphan. To Psychic Infinity … and beyond! I hope you enjoyed my first article for SixPrizes and found my information valuable. These decks are without a doubt my top choices for Week 1 and 2 Regionals and if I were to pilot any other deck, I’d knowingly run the risk of taking a bad matchup among these Big Three. I don’t expect many new decks to emerge from the ones that dominated Fall Regionals but it’d be great if the meta is shaken up before the release of BREAKpoint. If you guys have anymore questions or want me to expand more on the decks and tech I’ve highlighted please comment below or message me on Facebook and I’ll respond back as soon as possible. Thank you for your time and I wish you luck during your Winter Regionals run. I’ll see you all at Virginia and Florida!